Tucked in yesterday's post about Android Support Library v23.2 were a couple of screenshots, posted on the Android Developer's Blog, of an unreleased Android version. How do we know? 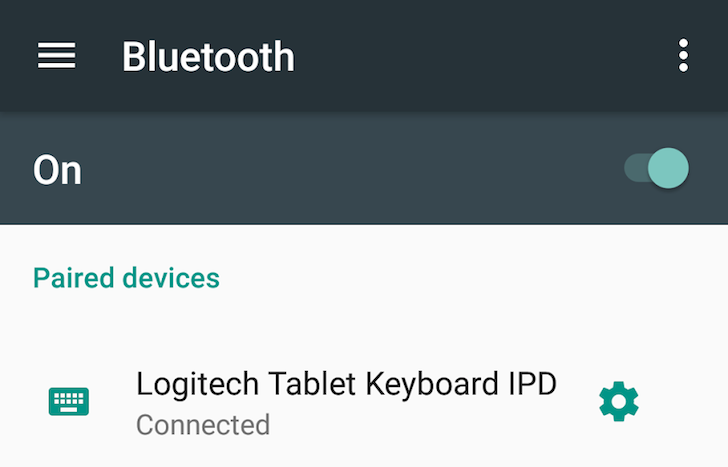 Because there's a hamburger button in the Bluetooth settings section, a button that doesn't exist on Marshmallow, but that we're able to confirm is there on Android N.
This hamburger button does what hamburger buttons do: it opens the side drawer. The drawer has a list of all the settings sections so instead of going back to the main settings screen and choosing one, you can simply open the drawer, tap a new section, and jump to it immediately.